5 Gallon Portable Rental (Electric) Air Compressors – Mi-T-M – AC1-HE02-05M1, is available for rent in Rochester NY, Ithaca NY and the entire Western New York region from the Duke Company. 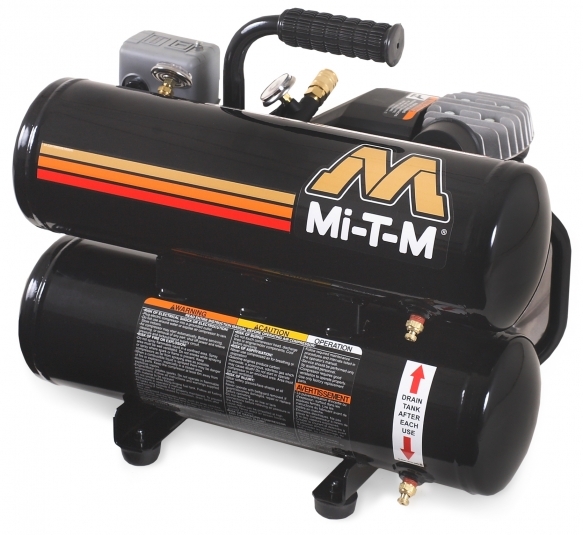 The Mi-T-M portable, 5 gallon, electric air compressor is a high quality, single-stage compressor. The unit is powered by a 120V, single-phase 60 hz motor with a 15-amp plug.